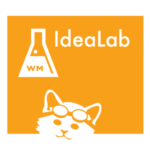 A place to share feedback on the MLA Commons platform (and to add requests for features you’d really like to see). IdeaLab image by Heatherawalls and used under the terms of a CC BY-SA 3.0 license via Wikimedia Commons. 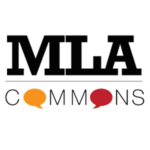 We are about to embark on a UX audit of MLA Commons and would love to know what you like (and, more importantly, don’t like) about the platform. Help us make the Commons a more user-friendly place to be! * ability to get activity updates in digest form, so that it’s easy to tell when new things happen.